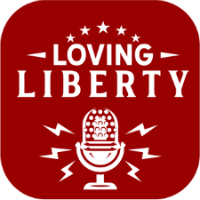 Welcome to the Loving Liberty Radio network, a national media platform that promotes and shares the bedrock principles of private property, free markets, individual liberty and religious freedom. 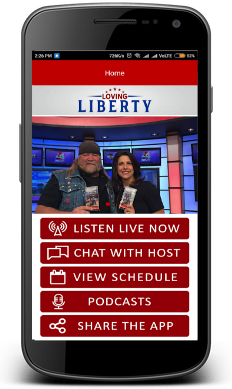 Join our hosts each day, all day, for the news of the day, insights, discussion and two-way talk. 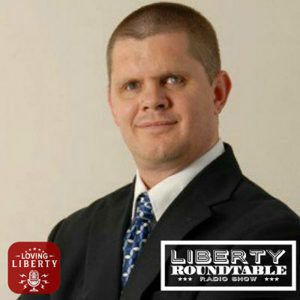 Bryan Hyde is the host of the daily "Loving Liberty with Bryan Hyde" program. He is a truth-seeker, a disciple of liberty and a voice of reason who helps others to better understand the world around them and to utilize their influence wisely. Bryan specializes in raising the level of civic discussion from shouted bumper sticker slogans to thoughtful examination of the key principles at stake. Live M-F 9-11am and each Monday 3-4pm EST. “The little lady with the BIG Voice”, Beth Ann Schoeneberg doesn’t shy away from tackling the toughest of today’s issues with a good dose of common sense. Her passion for our Nation, our Constitution and a love and respect for our ranchers, farmers and rural America is reflected in the many topics that the show explores. The mission is to preserve and protect Independence in America; by speaking the truth, standing up for our Constitution and honoring God and family. Listen live M-F 11-12 EST. 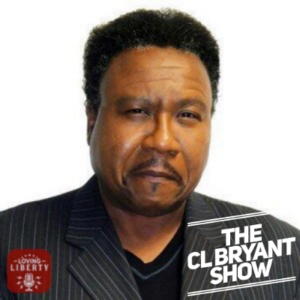 CL Bryant is the host of a daily syndicated radio show, “The CL Bryant Show”, and frequent guest and commentator on Fox News Channel, The Blaze, CNN and MSNBC. He is the former two-term President of NAACP Garland, Texas. C.L. 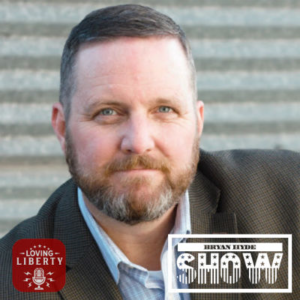 has given speeches all across America and is author of two books, his most recent, “A Race for Freedom” was recognized as one of Perpetua Printing’s Top 10 Books of 2018. Live radio M-F 12-2pm EST. 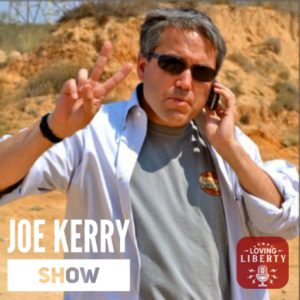 Joseph Kerry is the host of the Joe Kerry Radio Show and a New York Times and USA Today No. 1 best-selling author, having co-authored Common Sense: The Case Against an Out-of-Control Government with Glenn Beck. His work in media (CNN, Fox News and The Blaze) and having practiced law for over 10 years gives Joe unique insights into current events. Lawrence W. (“Larry”) Reed explores the connection between liberty and character, with a special emphasis on the uncommon men and women—past and present—whose example, principles and integrity make the world a better and freer place than it could ever be without them. Reed has served as the president of FEE (Foundation for Economic Education) since 2008. 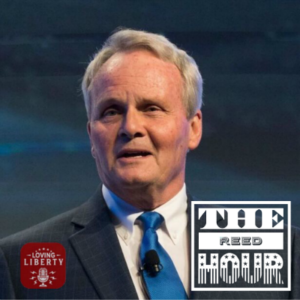 A champion for liberty, Reed has authored over 1,000 newspaper columns and magazine articles. His writings have appeared in The Wall Street Journal, Christian Science Monitor, USA Today, Baltimore Sun, Detroit News and Detroit Free Press, among many others. He has authored or coauthored eight books, the most recent being Real Heroes: Inspiring True Stories of Courage, Character and Conviction." Live weekly one hour show each Tuesday at 3pm EST. 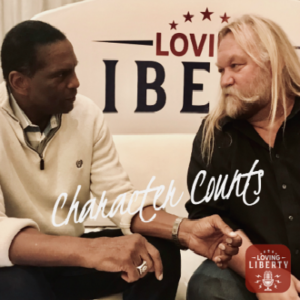 Stan Ellsworth and Burgess Owens co-host “Character Counts” – a weekly show focused on the essential elements of character and common sense. 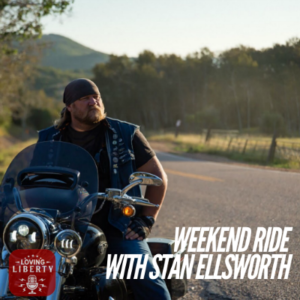 Stan Ellsworth has won 7 Emmy Awards for his national cable television show, American Ride and is a best-selling author. His most recent book, “Renegades and Rebels” rediscovers the true history of American patriots of our Revolution. 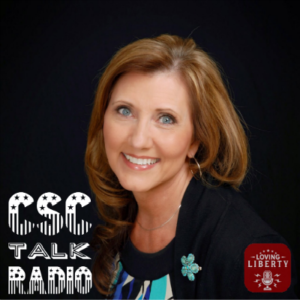 Stan co-hosts his radio show, Character Counts, with Burgess Owens. Stan’s podcast, “History and the Highway” is carried by Kim Komando’s West Star Multimedia, while his YouTube Channel of the same name celebrates America’s history, heritage and all things Harley, and is viewed around the country. Burgess is a former Super Bowl XV Champion and the third Black American to be offered a football scholarship at the University of Miami, Coral Cable. Burgess led the Raiders defensive squad in tackles during their Championship season and during the 1981 Super Bowl XV game. He is a best-selling author, a frequent contributor on the Fox News Channel, has guest hosted The Sean Hannity Show and regularly writes articles for media outlets that include Fox News Opinion, Breitbart and WorldNetDaily. Live weekly one hour show each Wednesday at 3pm EST, co-hosted with Stan Ellsworth. 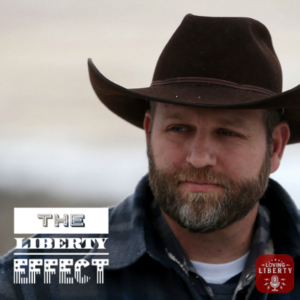 Ammon Bundy is the host of “The Liberty Effect” each Thursday on the Loving Liberty Radio Network. He is also recognized as one of the most effective voices of liberty and proper government in America today. Ammon is a man of abiding faith, unwavering conviction and courageous humility in the cause of freedom. He is a loving husband and father and is, perhaps, best known as the son of Nevada rancher Cliven Bundy. Live weekly one hour show every Thursday at 3pm EST. Stan Ellsworth is the host of “Weekend Ride” every Friday. The show is about American history, common sense and good living. Stan has won 7 Emmy Awards for his national cable television show, American Ride and is a best-selling author. His most recent book, “Renegades and Rebels” rediscovers the true history of American patriots of our Revolution. Stan co-hosts his radio show, Character Counts, with Burgess Owens. Stan’s podcast, “History and the Highway” is carried by Kim Komando’s West Star Multimedia, while his YouTube Channel of the same name celebrates America’s history, heritage and all things Harley, and is viewed around the country. Live weekly one hour show each Friday at 3pm EST. 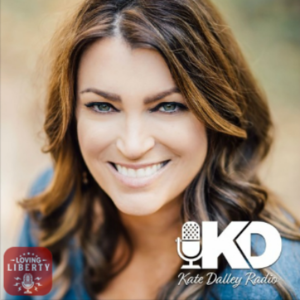 Kate Dalley is a cutting-edge nationally recognized radio host! 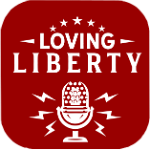 This country is need of truth and logic right now and her show is carried on Loving Liberty M-F 4-7pm EST. The topics on the show are quite diverse and Kate seeks to expose what the government is up to in her no-holds-barred approach to honesty in media. No political correctness here! Kate has been on the air for the last 7 years bringing national and global guests to the airwaves, for in-depth interviews and thought-provoking discussion. Kate loves history and delves into stories with a journalistic approach to uncover the truth. She calls this “going down the rabbit hole”. 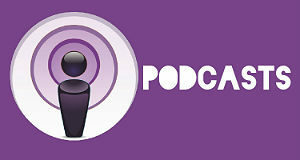 Listen to All of Our Hosts on Your Schedule on their Podcast.